The leading German-based car tuner company known as JE Design has finally revealed its new project called the 2012 Volkswagen Beetle. There are a lot of improvements and upgrades on the new model including the new stainless steel exhaust, 19” alloy wheels, 240 horsepower, 228 lbs-ft of maximum torque, and a stunning rear apron. One of its major highlights is the unique black tornado design specified on the alloy wheels in particular. It provides the most excellent driving acceleration and a maximum speed of 138 mph. 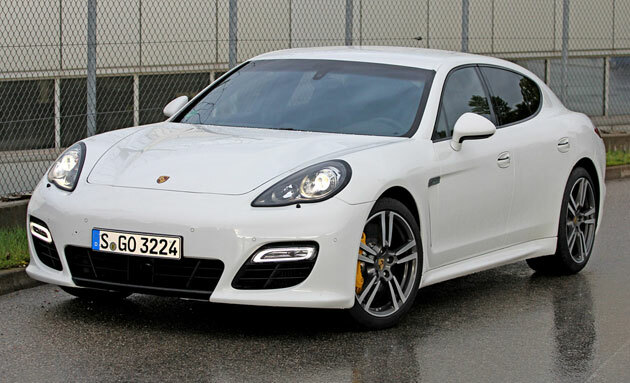 The 2012 Porsche Panamera Turbo S is one of the most dominant tuning car model created Edo Competition. There are several features of the new Porsche Panamera including the enormous engine upgrade with the 4.8 L V-8 biturbo engine, a high performance exhaust system, new filters and converters as well. The maximum speed capability of the new Porsche Panamera Turbo S is 211 km/h. It can produces up to 700 horsepower, and 649 lb-ft of torque. One of its major assets is the finest leather seats integrated in the entire interior styling. The 2012 Mercedes CLS 63 AMG tuning program was built by a German tuner known as MKB. This luxury sedan has many upgrades in performance and acceleration that are absolutely world-class. There are a lot of new features of the new model such as the high flow exhaust systems, an extra powerful engine, and a detailed interior design. 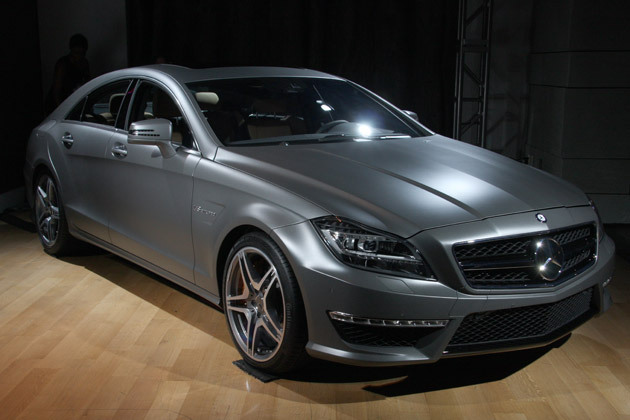 The maximum speed of the Mercedes CLS 63 AMG is at 211 mph with a total of 640 horsepower and 737 lb-ft of torque V8 Twin Turbo engine. One of its impressive exterior styling is the aluminum wheels fitted around Michelin Pilot Super Sport tires. Another famous project this year is the 2012 Chrysler 300 Mopar 12 special edition model. This tuning program features several aesthetic modifications such as the tinted headlights, black chrome grille, and piano black accents for the interior. The complete package includes UConnect touch screen info system, a Katzkin perforated leather seats, Alpine sound system, and a whole lot more. The special edition tuning car is set to release this summer for a competitive price of not more than $50,000. Finally, the 2012 Fiat 500 Stinger is another exclusive program initiated by Mopar tuning. There are certain performance engine modifications with a combination of exceptional designs and patterns. There are numerous highlights of the Fiat 500 Stinger including black chrome projector headlights, a new set of alloy wheels with Abarth Hyper black tires, and black leather accent pillows for the car’s interior. The Fiat 500 Stinger also has a powerful engine and torque at the same time. On the other hand, this new project is at Mopar’s Stage 1 development where it focuses mainly on both the exterior and interior enhancements. The latest surveys made on which among the biggest car manufacturers produce vehicles with the finest exterior styling revealed some surprising facts. The United States biggest vehicle valuation company Kelly Blue Book came up with the latest automotive research study results categorized on exterior styling. Japanese car manufacturing giant Nissan came out as the runaway leader on exceptional exterior styling with its sedans outclassing other Asian import bigwigs like Toyota and sales leader Honda. Honda, not totally ending as a loser, finished second while Toyota bagged the third spot. Despite its much publicized challenges, Ford Motor Company has been deemed as producing trucks with the best exterior craftsmanship. In fact, all top four brands in the best truck exterior styling category are home-grown brands with GMC running second, Chevy on the third spot, and Dodge placing fourth. The import Toyota dropped on the fifth place while Nissan ranked eighth and Honda after the tenth spot in the same grouping. Imports made it on the top of exterior styling in four out of seven fields. For luxury sedans and SUVs, BMW ranked number one. More people voted for Mercedes Benz as having the most exquisite exterior design in the convertibles and sports car category. Lexus, Infiniti, and Porsche all ranked top spots as well. According to Kelly Blue Book, the way a vehicle looks is one of the top deciding factors in the way the vehicle will fare in terms of sales and consumer perception. Exterior styling has always been a driving force in enticing people to choose the brand and make of the vehicle they would want to drive. In response to the public clamor on better exterior styling, Jaguar has come up with the XK Exterior Styling Pack. This additional Jaguar appearance enhancer has been available since 2007. Jaguar Design Director Ian Callum said that the enhancement package was released in order to “visually emphasize the stance and presence of the XK”. The styling pack includes new exhaust tailpipe finishers, upper and lower mesh grilles that are available in black or bright finishes, and rear and front valances. The Exterior Styling pack is designed to match all types of Jaguar colors. As more and more augmentations and enrichments are being done by most car manufacturers to up their exterior designs, the battle for the best external look in cars has reached an all time high. Others have to watch out for the incoming new Hyundai exterior look which is far from the usual Korean design that we all know. There are several exterior styling car parts that we are about to discover on this page. Let us find out the most recent and brand new products for your car’s exterior including parts like grilles, spoilers, side skirts, and other body kit items. Most car tuners would incorporate car stickers and badges for the exterior styling. There are hundreds of stickers and badges that can brighten the appearance of your car. Typically, these stickers are self-adhesive like the chrome and red emblem car Decal, the Turbo loading funny car decal, the Cymru Welsh Flag car stickers, and a whole lot more. Car spoilers are also used to improve the car’s appearance. On the other hand, wing spoilers keep the back end down that provides a more grip for the backend of a car. Some of these spoilers are the Ford Focus ST170 rear spoiler, the Ford Fiesta 2008 roof spoiler, and among others. For BMW, you can customize your car with a BMW style Shark fin like the Shark Fin aerial Vauxhall, the shark fin car radio aerial, car roof aerial, and a whole lot more. Shark Fin is being added in BMW models to give a more stylish look on the vehicle. You can also buy carbon fiber accessories for your car or other car parts that are made up of carbon fiber found in the market these days. These sporty-look carbon fiber products include carbon fiber vinyl sheet wrap, easytime carbon fiber vinyl A4, large carbon fiber car exterior, Richbook carbon fiber sheet, blue and carbon fiber effect, and so forth. You may purchase grills and meshes that also improve the external appearance of your vehicle. These amazing products that you can find the market includes a silver grill mesh for Chrysler, Savage AG-07S racing grill square, a blue grill mesh for Renault, a black diamond grill mesh for BMW, 07+ Mercedes W204 Chrome sport grill AMG style C-Class Glyco, and other remarkable grills and meshes product lines. You may replace your wing mirrors if you want to be more stylish and unique from others. There are several exterior styling wing mirrors including the BMW mini chequered flag, the Ford Power Folding mirror relay, Ford Focus Primed Manual door or wing mirror driver’s side, and a lot of other great trademark products. Other exterior styling products include caliper paint, mud flaps, fuel caps and covers, and car aerials. KIA Rio is getting its way out to the shell this 2012. The company that is producing Rio hatchback had made an expansion and recently launched its another Rio hatch three-door to join the five-door red hatch car which was already in the auto market worldwide. The Rio five-door red hatchback has made a positive remark, with this generating sales, KIA is again celebrating with its premiere of the Kia Rio 3-door. It carries the current B section model in order to catch the attention of customers who are new consumers of the Kia Rio brand and it is continuously hoping to soar high with its market sales after its recent introductory during the early months of 2012. The good news is, Kia had slashed its price range into estimate $15, 300 including on road charges and dealer fees as a way to sharpen the marketing strategy of the company brand towards tough competition of auto segment. The three-door KIA Rio has similar essential dimensions like the first model five-door such as its height with 1,455 mm, length with 4,045 mm, its width of 1720 mm, and its wheelbase that has 2570 mm. Thus, Kia Rio’s new hatchback has retained a similar roofline, which is considered one of the ever-lowest types of KIA’s model range, keeping it more attractive and sporty look. While it is true that the new one goes alike with the 5-door Rio based on the equipments, power trains and selections, the newer model however proposes consumers an option of 4 extremely efficient 3 and 4 cylindrical engines amid power range of 75 up to 109 ps. The most fast three-door KIA Rio will speed up to 62 mph (100 kph) within 11.5 sec and can enable to arrive at a highest speed of 114 mph (183 kph). If we speak of fuel expenditure, the three-door consumes on its lowest in liters with 3.2 every 88.2 mpg (100 kph) for the lately introduced model diesel eco-dynamics. For that reason, it will deliver a leading industry CO2 marking for merely an 85 g per km. In order to make the most of the three doors Kia Rio’s prominent external look, KIA of course made the model available to prospects with more or less 10 different body colors such as black, white, signal red, bright silver, electronic blue, fresh beige, wendy brown, deep blue, caramel yellow and graphite. This is so to enhance the chic and refined character of the car. With these amazing new structures of the new Rio model, KIA is very much confident that it can bag a huger share of the non-stop growth popularity of solid auto market. Exterior styling is one of the main concepts of innovative your pet garage into a state-of-the-art pride of driving. Imagine a plain bachelor’s pad with no definite color, texture and modern fixtures; somehow the exterior zone depicts a dull and non-attractive to viewers or your neighbors nearby. Likewise, if you want to get your vehicle moving and impressing friends who beguile car accessories and exterior tuning, you should suggest yourself styling at its fullest. An acknowledgment from the creators of car.com have delineated that styling plays an important subject in assessing the identity of a particular model. Aside from explicit details of speculations, automobile experts categorize the distinct nature of exterior, interior, grilles and other characteristics from another type of cars. For instance, Chevrolet Camaro’s identification of sneering grilles differs from AMG’s design of Mercedes series. Another aggressive package of BMW series and Porsche brand is their premium luxurious exterior speculation. Aluminum suspension component dictates the car’s mass when driving along the race tracks. Porsche wins the battle as compared to BMW. However, BMW gets the title from keeping the passenger and driver to a good stability control giving the BMW series a perfect Dynamic Stability Control feature. Car styling has always featured a multitude of series consecutively every year. Though customization still exists in most car shows, styling has develop certain regulatory appearance that ties up to specialists prior to revealing its actual automotive design. Meanwhile, in every model generation, you can notice how these machines chromatically work their muscles in the garage. The proprietors of chunking up a model draws out attention based on their specialty and creative evolution. American, Japan and Germany are becoming too competitive in the industry of automotive design. Such designs that mounted most car show lately are Ford, Mitsubishi and BMW. Inspirational theme speaks the overall contour of skin appearance of a car. Normally in UK, prices of achieving a reputable body kits can be more than the usual price in well-known companies. Selecting the right color should not mismatch the wheels style, spoiler and interior trims. Many car enthusiasts have fabricated the appearance of their own body kits to a more sleek design. Make sure kits have to be approved first through a programmer that reveals the initial draft design of the actual automobile. If things are uniquely original in your own way, then it is time to pursue the modification. An advice from the heart about car styling reminded car owners in every modifications that they should never cut corners to observe any cracking of paint otherwise they will end up getting disappointed. From Audi’s geometric elements of elongated car exteriors to BMW’s Buick lines that finishes the graphical cuts of body case, their muscles have never been this spectacular.